Calling all cupcake fans! Cupcake Camp Boston is here! Mark your calendars for Sunday, June 30 from 11 AM to 4 PM, Rain or Shine! 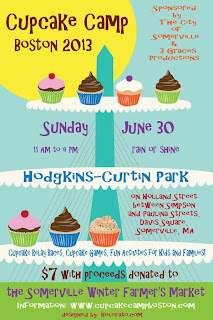 This year's event will be held outside at the beautiful Hogkins-Curtin Park, located on Holland Street between Paulina and Simpson in hip Davis Square. General admission is $7.00 and all proceeds will benefit the fantastic Somerville Winter Farmers Market! 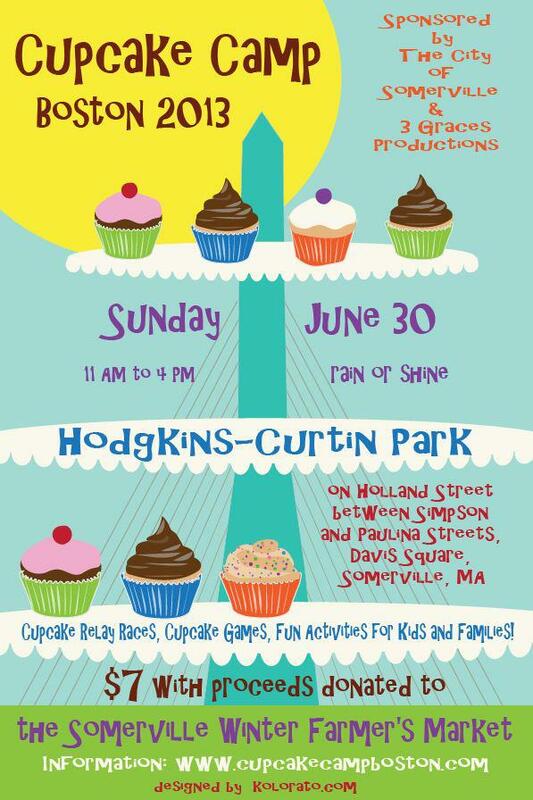 This year's sponsors are the City of Somerville and 3 Graces Productions. We are urging you to get your advance tickets now! We can't wait to see you all there!